Tskune and Inner Moka. . HD Wallpaper and background images in the Rosario Vampire club tagged: vampire rosario moka tsukune. 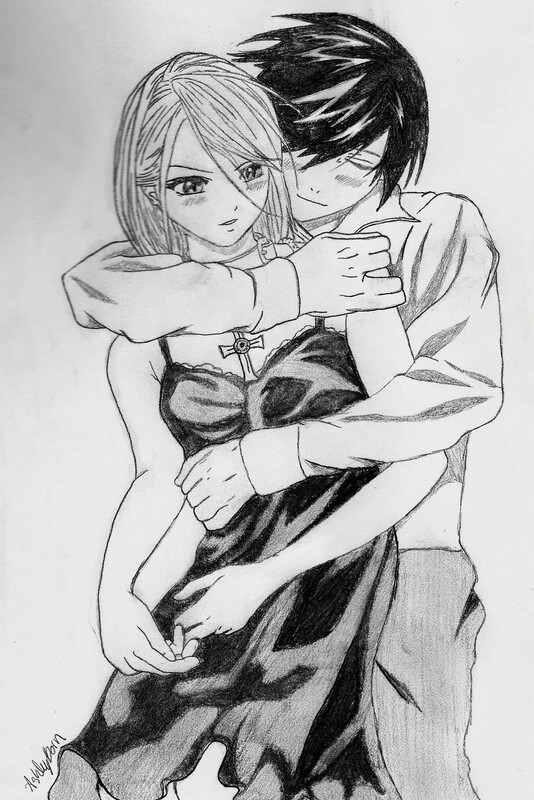 This Rosario Vampire fan art contains anime, comic book, manga, and cartoon. :( when i scanned the picture, it messed up the color and made the charcoal look all funny! :( oh well I still love it. This is really well done..
except you have the wrong couple! It should totally be Kurumu and Tuskune! You`re an awesome artist, though. Seriously, you should draw more stuff. mmmmmm let me think if I could put this touch in mine but I am not satisfied with my work. But with yours I just touch you gave to the eyes of mocha, since it is one detail that stands out most in the whole picture. good job men.